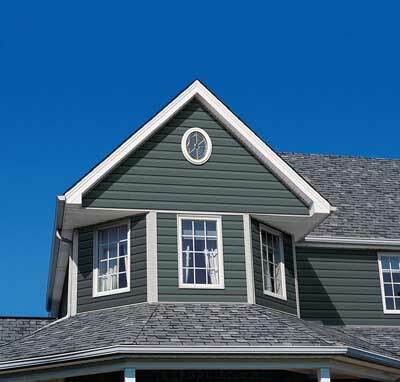 Several distinct elements affect your home’s curb appeal, but nothing can help a house command attention quite like brand-new siding. 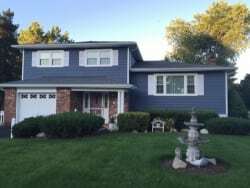 With a vast range of vinyl and composite siding products on hand, New Jersey Siding & Windows, Inc. is fully prepared to help provide your home with a brand-new look, whether you’re just moving in, a longtime homeowner or gearing up to sell. 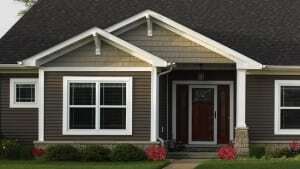 As tried and true siding experts, we understand that your home improvement needs are not the same as your neighbor’s. That’s why we stock both vinyl and composite siding materials from a range of the most reliable brands in the industry. 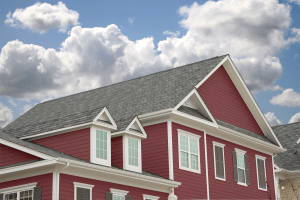 Vinyl: Our vinyl siding products include offerings from KP Siding, Royal Building Products, Provia and CertainTeed, and they’re available in a range of configurations to meet the needs of any budget. No matter which brand you decide to go with, you’ll have the opportunity to choose from numerous colors for a look that reflects your home improvement dreams. Composite: Our selection of composite materials is equally diverse, comprising brands like Everlast, LP Smartside, CertainTeed, James Hardie, KWP, and Celect by Royal Building Products. These siding products offer the time-tested beauty of wood while avoiding wood siding’s notoriously high maintenance demands for convenience in the long run. Be sure to scroll down for more information on each individual siding material available through New Jersey Siding & Windows. Because your home’s good looks rely on well-maintained siding, don’t settle for anything less than the expert service provided by New Jersey Siding & Windows, Inc. Over the years, we’ve secured a number of awards that reflect our tireless mission to provide top-tier siding replacement and installation services to residents throughout Northern and Central New Jersey. To discuss your project, schedule a free estimate online or give us a call at 973-895-1113. Choose the best color to fit your style. 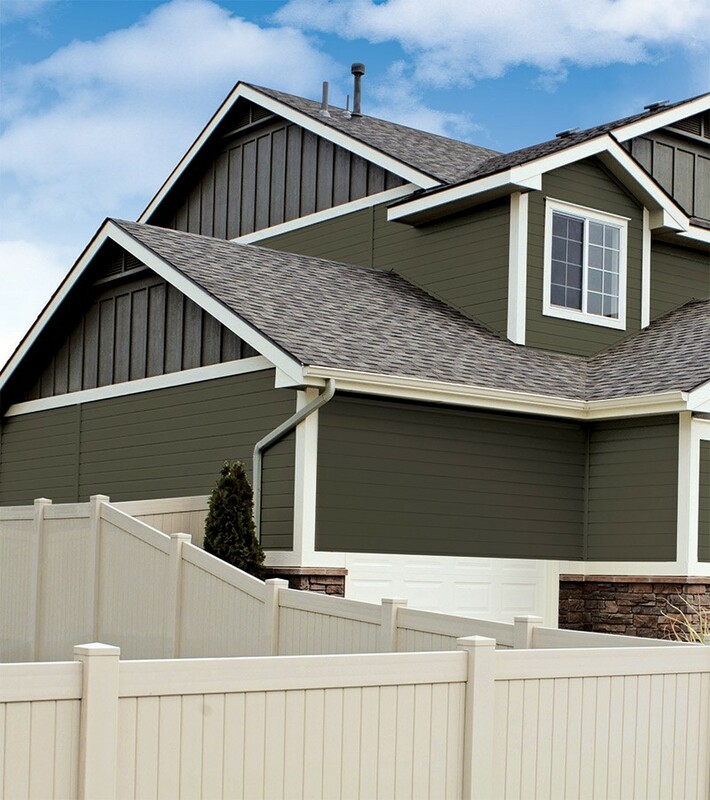 Our siding is available in an array of different colors, guaranteed to match your style. Here is is just a sample of the vast colors offered for your home. KP Vinyl Siding is a privately owned and operated company with eighteen manufacturing plants and 2200 employees throughout North America. 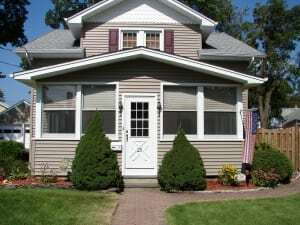 They proudly highlight those styles in their most admired branded collections, like their Norman Rockwell line of premium vinyl siding, which consistently earns top marks in consumer ratings. Throughout KP’s manufacturing, transport, installation, service life and waste management processes, vinyl siding scores well compared to alternative products. Considered by the NAHB to last a lifetime, vinyl siding is extremely durable making it more sustainable than its substitutes. KP Building Products are built to last. This means that our vinyl spends its life on your home, not in a landfill. All of these factors contribute to making communities greener with the most popular exterior cladding in North America. New Jersey Siding & Windows is proud to offer the Eco-Side and Naturetech engineered wood siding from KWP. For over four decades, KWP has been one of the worldwide leaders in the manufacturing of premium building products. In their commitment to sustainable building products, KWP uses 100% pre-consumer recycled content, producing not only a beautiful real wood product, but a green option as well. Coming in a wide variety of colors, styles, and finishes, and with expert installation from New Jersey Siding & Windows, KWP has a product that will fit your tastes and needs. Royal Building Products is a leading manufacturer and distributor of a broad range of state-of-the-art exterior building materials for the home remodeling, building and municipal construction markets. For over 40 years, they’ve committed themselves to quality, innovation and customer relationships. It’s how they’ve built loyalty and trust among a growing number of building professionals, homeowners, architects, engineers and distributors. New Jersey Siding & Windows installs a variety of Royal Building Products to complement any home including Portsmouth Shakes & Shingles, Residential, Haven Insulated Siding and Royal Woodland 25. Heartland’s Super Polymer formulation is at the heart of each of their horizontal and vertical cladding, making them the industry’s most quality manufactured products. Heartland Siding by ProVia is proud to provide you with a better alternative to consumer-grade exterior cladding. 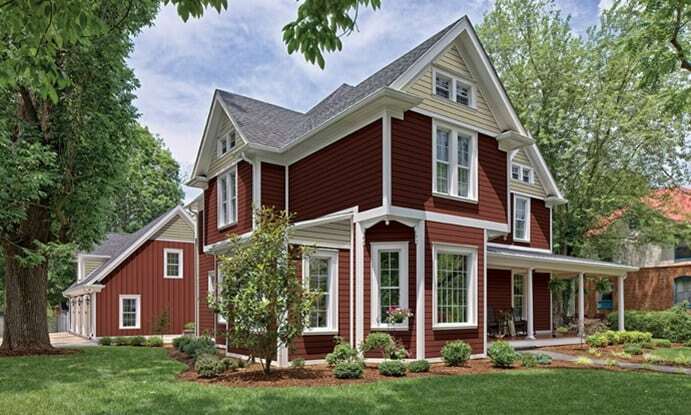 Heartland Siding by ProVia specializes in elegance and endurance. Their professional-class siding has the look and texture of wood but the durability and strength of vinyl. With three categories of siding to choose from (insulated, traditional and decorative) you can find the right one for your needs and style. All of Heartland’s cladding is created with our Super Polymer Formulation, making it incredibly strong. With 10 specific brands of vinyl siding from which you can select, budget and beauty go hand-in- hand. New Jersey Siding and Windows installs a variety of CertainTeed products to complement any home. Whether it is a Victorian reproduction, a New England Saltbox or a modern beach house get-away, CertainTeed vinyl siding offers the rich look of natural cedar without the expense and need for heavy maintenance to keep it beautiful. You can create a distinctive home with an eye-catching exterior with CertainTeed’s designer palette that includes a selection of more than 30 siding and trim colors. Inspired by nature, these colors are designed to harmonize a home with its surrounding environment. LP SmartSide’s offers engineered strength combined with the style and beauty of traditional lumber complementing almost any home style. All LP SmartSide products feature innovative four component SmartGuard manufacturing process for strength and resistance to fungal decay and termites. The product has been climate tested to the extremes; proven to withstand freeze / thaw cycles whereas many substrates crack when water is absorbed, freezes and then expands. LP SmartSide is made with special waxes to minimize water infiltration and cracking. Due to its industrial-grade binders, resins and durable coating, LP SmartSide is proven to resist heat and sun exposure and has proven to remain strong and beautiful after prolonged exposure to intense sunlight and hot, dry weather. The Diamond Kote Prefinished product has a 30 year finish warranty. Whether you choose LP SmartSide for its natural look of real cedar or its resistance to decay, fungi and termites, it is a choice that you can make with confidence. LP Smartside comes backed with an industry-leading transferable, limited warranty that protects your investment and peace of mind. 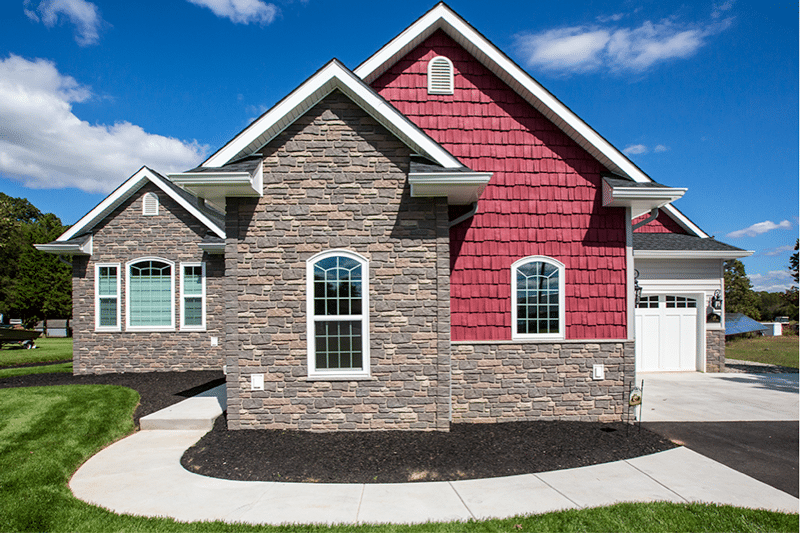 To learn more about LP SmartSide Siding, contact a member of our team today. Since our founding, New Jersey Siding & Windows, Inc. has provided our customers with the most current and trusted exterior products. One of our best-selling siding products is CertainTeed Cedar Impressions Shakes. If variety is the spice of life, CertainTeed Cedar Impressions Shakes is the perfect siding to spice up your home’s exterior design. With a texture as random and beautiful as real cedar shakes, this product finds its appeal in a constantly changing diversity of woodgrain patterns. Cedar Impressions Shakes are equally as attractive on Victorian, Contemporary, or traditional home styles, in a whole house application or in combination with stone and other materials. Its straight edge profile design offers a gentle counterpoint to the rugged, textural variety of the panel face, combining to create an exterior with real personality. 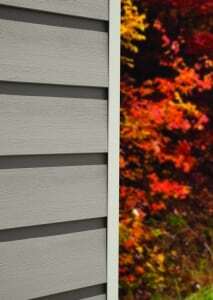 If you are looking for quality fiber cement siding, you can’t go wrong with HardiePlank® lap siding. 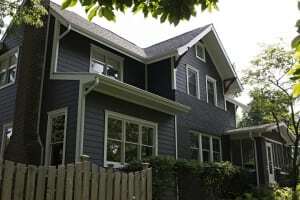 It is one of the most popular brands of siding in America and can be found on over 4 million homes. With its strength, beauty, and durability, HardiePlank® siding enhances and protects homes in all kinds of climates—and now, with the HardieZone System, James Hardie provides siding with specific performance attributes relative to the climate where the product is being used. James Hardie now gives you the optimum siding for your home and climate, regardless of location. At New Jersey Siding and Windows, we are proud to be a trusted HardiePlank siding installer. All HardiePlank lap siding comes in a variety of looks and textures, all of which are engineered for specific climates. We can help you select the best option for your home while getting the job done quickly and thoroughly. James Hardie is so sure about how well the HardieZone system will perform, HardiePlank lap siding even comes with a 30-year non-prorated, transferable, limited warranty—their strongest warranty ever. Call us today to schedule a free, no-obligation quote for your home’s HardiePlank lap siding installation or a number of other home improvement options that we provide. One of our most popular products is Royal Celect Siding. Imagine a premium siding inspired by the gorgeous aesthetics of wood and possessing none of the wood’s maintenance demands. Celect Cellular Exteriors by Royal gives you an exterior with the look, touch, and timelessness of real wood without its inconveniences and expenses. Royal Select Siding’s interlocking joints keep moisture out and almost completely eliminate seams, which means it not only looks authentic, it will never warp, buckle or shift like wood. With Royal Celect Siding, you can forget about mold, fading, deterioration, and scrubbing. You can also forget about painting, repainting, caulking, re-caulking and de-laminating which fiber cement is famous for. Celect is all about virtually great maintenance-free looks that never quit, year after year, decade after decade. 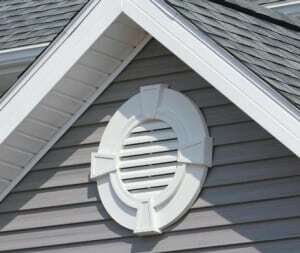 Exterior accessories for your home from New Jersey Siding & Windows will add the finishing touch to a perfect project. 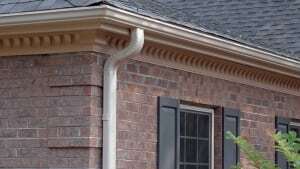 Our specialists will help coordinate with you to select the best fit from a wide variety of products, such as gable vents, crown headers, corner posts, columns, and many more. They’ll assist you in color selection as well, to make the final part of your home pop with color and life.